Vanessa started her passion to be a cosmetologist when she began her education at Gene Juarez Academy in 2001, graduating in 2002 and has been in the industry since. Her passion still remains, if not more, especially when she sees her work bring happiness to her clients. Vanessa specializes in hair color, hair cutting design, formal and bridal styles, and is always striving to stay up to the latest styles and trends the industry has to offer. She carefully listens to each client individually, to provide them with a style that fits their lifestyle needs and wants. Whether its a simple traditional look, sassy, extreme style or color Vanessa strives to achieve what the client has in mind. She loves the talent God has given her and especially the relationships she’s built through the years of being in the hair styling industry. As an established member of the Studio Salon team, Angie brings with her a wealth of knowledge and experience. She started her career at the Bocz Salon in downtown Seattle and continued to work in the area for 8 years. Her introduction to the industry shaped her to look at hair as a varied and spectacular palette to explore and enjoy with her clients. She was inspired early in her experiences to always further her education throughout her career. Angie is enjoying her 30 plus years as a stylist. From Kenra/ Pravanna advance color program to waxing, to perms, Angie is constantly learning new and innovative techniques of beauty and style. She has had a passion for color since her beginnings in Downtown Seattle and she knows an exellent cut is equally important in order to compliment stunning hair color. Her ongoing cosmetology education has included new and innovative cuts and color, while not loosing sight of the classics. Angie's philosophy on hair is "Your cut, color, and curl needs to fit your lifestyle, add to your self confidence, and compliment your natural beauty. At the end of the day, hair should be fun." 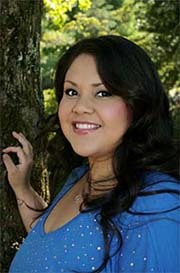 Teresa began her career in cosmetology in 2004. 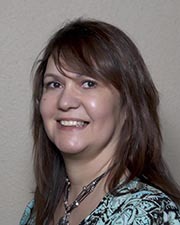 After working behind the chair for a few years, her passion for education led her to obtain her instructors license in 2008. She spent the next 3 years teaching at the Gene Juarez Academy. While there, she taught a wide range of courses focusing on all areas of cosmetology to include the basics of haircutting and the complexities of corrective color. In 2011, she returned to the salon floor where she focuses on providing her clients with the best, most up-to-date practices in cosmetology. She consistently attends advanced education classes to refine her skills and keep up with the most current trends and techniques in the industry. Teresa understands the importance of listening attentively and getting to know each of her clients. Doing so allows her to create the perfect results for her clients which complement their looks, personalities and lifestyles. Whether its sculpting the perfect cut or blending a custom made color, nothing beats the satisfaction of when her clients leave her chair looking and feeling their absolute best. Lisa graduated Cosmetology school in 1997. 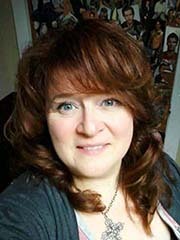 She started out in a small town called Sequim but knew very soon she wanted to get to the "city" and create beautiful hair to a wider spectrum of individuals. Lisa has spent the last 20 years of her career in Tacoma and now has relocated, to work where she lives, here in beautiful Bonney Lake! She enjoys engaging with her clients on a personal level to achieve a unique style created just for them. Accounting for lifestyle, personal features and desired outcome, Lisa will customize each service to compliment her client! 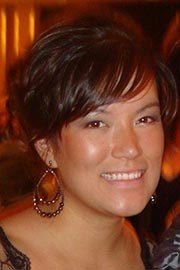 Lisa is looking forward to meeting you soon for your next cut, color, foil, up-do, perm or wax. Diane is a talented hair stylist with 28 years experience in the industry. She started her career in southern California where she worked for 5 years. 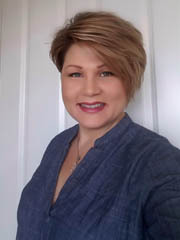 She then moved to the great northwest where she set up home in Bonney Lake, Washington and joined the team of talented Stylists at Studio Salon of Bonney Lake. Diane enjoys working with people and helping them to achieve the look they love. She loves to pamper you whether it is cutting and coloring your hair or giving you a relaxing pedicure. Diane loves learning new techniques and is constantly taking new classes to keep her updated on any new techniques and fashion looks! Studio Salon is located in Bonney Lake, Washington. Let us give you the cut , color, and style that you will love.